Browse system icons by category or search by icon name. 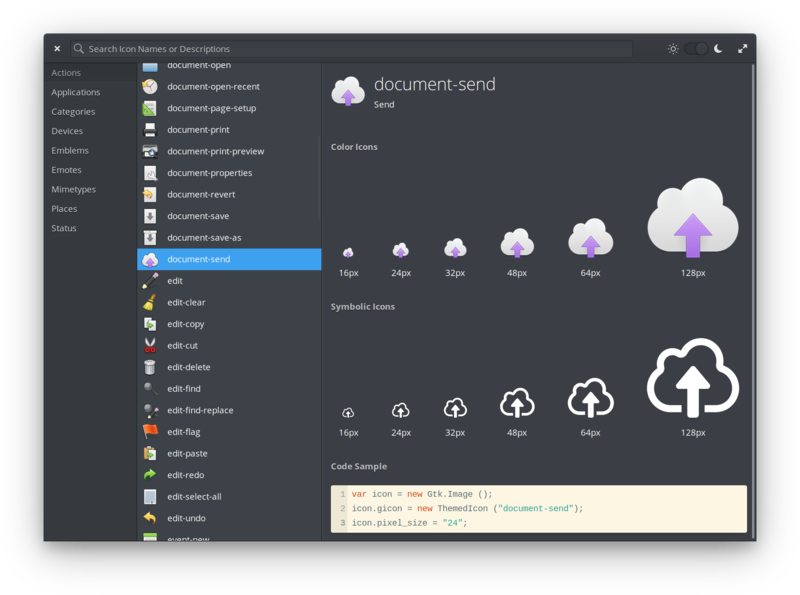 See icons at different sizes and get a quick code snippet to use in your apps. 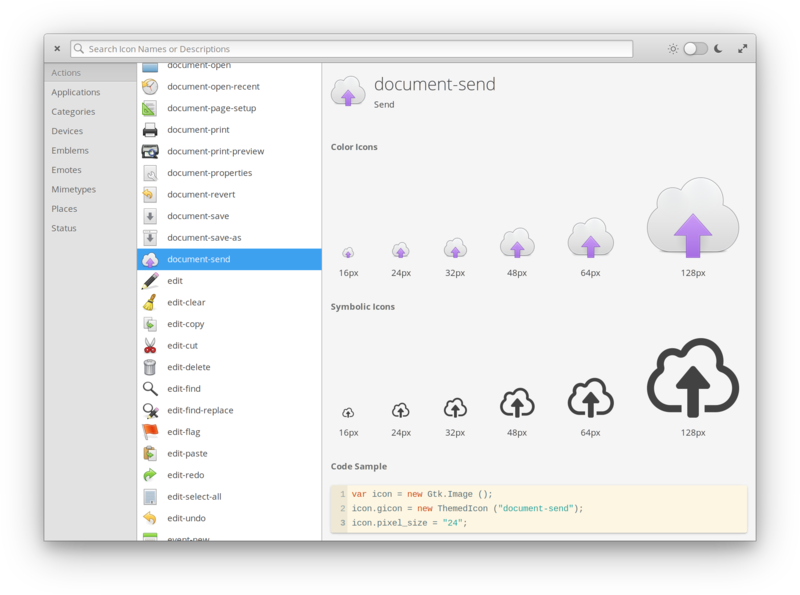 Get LookBook and more on elementary AppCenter, the open, pay-what-you-want app store for indie developers. Every app is open source and has been reviewed and curated by elementary to ensure a native, privacy-respecting, and secure experience. Better support for symbolic-only icons and under the hood improvements!